Now that we have digital models and dynamic convolution technology, we're spoilt for choice when it comes to classic compressor flavours. But whether hardware or software, which is right for which job? Whether they truly recreate the real thing or just give you a hint of their flavour, there's now a bewildering number of classic compressor emulations in software. At its most basic level, compression can be seen merely as a labour‑saving solution to mix-balance problems: if you control the levels of an overly dynamic instrument, it becomes easier to find a consistent fader setting for it. While the practicalities of setting up compressors can take a little time to get your head around to start with, there is still a certain logic behind the process, as I've tried to demonstrate in preceding pages of this issue of SOS . 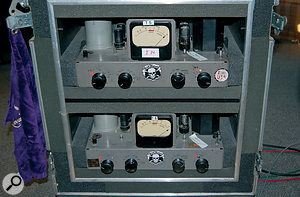 As you venture beyond general‑purpose balance discussions, though, the subject of compression becomes shrouded in mystique, particularly with respect to the qualities and quirks of the most famous hardware compressors, many of which are prized as much for their tonal qualities and audio side‑effects as for their ability to control dynamic range. For years, such debate remained the preserve of those few lucky souls in professional studios who had the opportunity to compare a range of such rare and expensive hardware, but recent advances in the DSP emulation of those same units has brought the topic slap-bang into the mainstream. That's great news in some ways, but it also presents many recording musicians with a significant problem. Seasoned studio jockeys can bring a wealth of past experience to bear on the task of choosing the right model of compressor for any task, but those without the benefit of such an apprenticeship can now find themselves adrift in a sea of complex possibilities, with little but guesswork and experimentation to assist them. In this article, then, I'll try to shed light on which classic compressors tend to be used in which processing situations, based on my ongoing research into the techniques of 'A‑list' engineers and producers (see the box at the end of the article for their backgrounds). I'll also look at a few of the design features and side‑effects that adapt the different processors to these tasks, as well as talking about some of the ways they're actually combined in real‑world sessions. Let's start where the money's at in most productions: those all‑important vocal parts. There's no shortage of conflicting opinions from those in the know, but certain compressors do seem to crop up a great deal more than others. 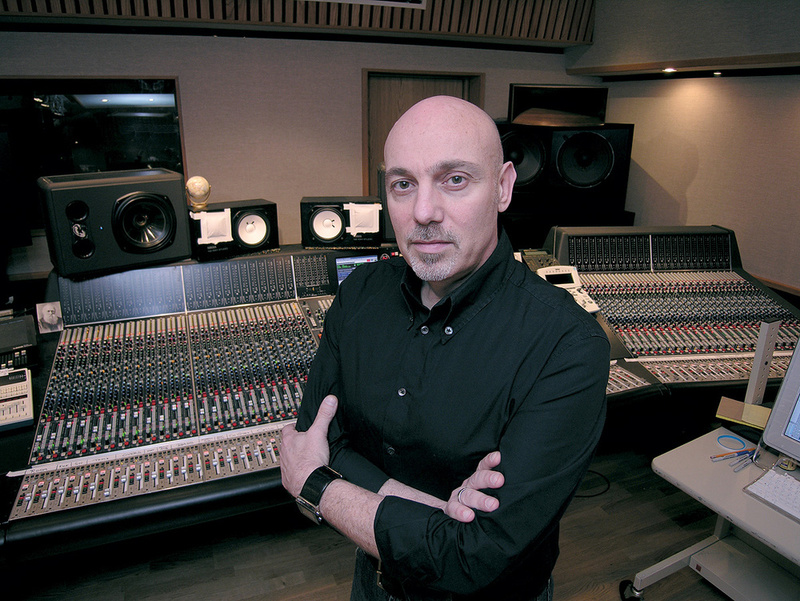 Where transparent level control is required, the Dbx marque is a popular choice, with engineers such as Steve Churchyard, Humberto Gatica, Eddie Kramer, Ed Cherny, and Mike Clink all specifically name‑checking the Dbx 160‑series processors. The clean, predictable response of the low‑distortion, Blackmer VCA gain‑reduction element is clearly part of the appeal: "A Dbx 160 works really well if you just want to protect the tape,” comments Ed Cherny, for example. The majority of SOS readers working with high‑headroom, 24‑bit A‑D conversion will be less concerned than analogue engineers about fitting their recordings into the dynamic range of the recording medium, but cleaner‑sounding compressors can be just as useful while mixing, especially on instruments with complex harmonics (12‑string guitars, pianos and harpsichords, for instance), which can respond badly to distortion. Despite their reputation for cleannness, later Dbx models do still offer subtle colour and flattery to the vocal tone, by virtue of their transformer‑coupled inputs and outputs. High‑spec transformers can contribute a kind of euphonic, low‑level, frequency‑dependent distortion that regularly elicits descriptions such as 'warm' and 'fat', and which is often called upon to make vocals seem somehow 'larger than life'. The combination of VCA gain‑control and audio transformers can also be found in Focusrite's Red 3 and Red 7 units, which also exhibit this kind of subtle warmth and are used for vocals by producers such as Steve Power and Stephen Hague. 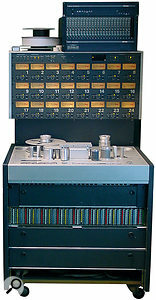 The ability to heap gain‑reduction onto a vocal without audible side‑effects is associated with another well‑known unit, the Teletronix LA2A (now re‑issued by Universal Audio), which achieves its low‑distortion soft‑knee characteristics, as well as a programme‑dependent release time, using a unique electro‑optical gain‑reduction element. This unit has been in regular use since the '50s, and could lay a strong claim to being the most popular vocal compressor of all. Where the Dbx's feed‑forward VCA and solid‑state circuitry are fast, controlled, and clean, the LA2A's electro‑optical feedback design works more slowly and in a non‑linear fashion, which nonetheless produces very musical results, preserving the impression of performance dynamics despite quite extreme level management. While it, too features audio transformers, it also rounds out the tone via its internal valve amplification stages. "I added the LA2A for warmth,” comments Serge Tsai, for example, echoing similar 'gentler and warmer' epithets from producer Glen Ballard. The LA2A's winning combination of electro‑optical compression, transformers and valve amplification can also be found in a couple of other units well‑respected for vocal use, Tube Tech's CL1B and Avalon's VT737SP, so if you like what an LA2A can do for your vocals you may find that these models provide useful alternative colours. For faster, cleaner, more VCA‑style control, and a slightly crisper transformer‑free sound, Summit's TLA100A and DCL200 are also popular with audiophile engineers such as Al Schmitt, Jon Gass and Tony Maserati. 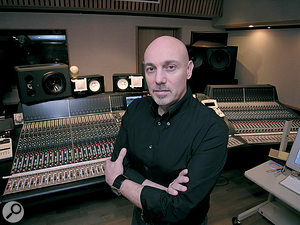 "I found I could use it on vocals that I needed to squish a fair amount but didn't want to lose all the nice top I got off the microphone,” explains Joe Chicarelli in an interview on www.summitaudio.com. Beloved of Beatles engineer Geoff Emerick is the rare and mind‑bogglingly expensive Many engineers use the Fairchild 670 for the subtle sonic enhancement of its circuitry as much as they do for gain‑reduction. 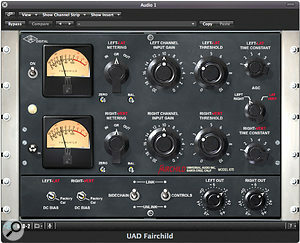 Although the original is now prohibitively expensive for all but the most maniacal of collectors, there are some excellent software emulations, such as this one from Universal Audio.Fairchild 670 stereo valve limiter (and its pretty much identical 660 mono sibling), and his penchant is shared by other high‑profile names such as Roy Thomas Baker, Steve Power and Tom Elmhirst. Where the LA2A will give you fairly slow attack times, the Fairchild has a much faster, sub‑millisecond, onset, as well as a different type of extremely soft‑knee compression curve, courtesy of its valve‑based 'vari‑mu' gain‑control circuit — the compression curve is unusual in that the ratio just continues increasing as the input signal level gets higher. While these characteristics mean that the 670 can control levels very effectively, probably the main reason that top engineers call on it is actually for the sonic enhancement of its circuitry, which incorporates a total of 20 valves and 14 transformers! Geoff Emerick always put the Beatles' vocals through it for precisely this reason: "Just the sound of the amplifier, even if you didn't do any limiting, just added a certain presence.” Steve Churchyard also talks about using the 670 "more for the sound than for the compression,” a sentiment echoed by Tom Elmhirst in SOS August 2007. The Fairchild 670's extreme rarity, combined with its ability to make notes, in the words of Jack Joseph Puig, "long and lush and beautiful” has spawned not only fastidious modern hardware replicas (such as Anthony DeMaria's ADL670 and the Analogue Tube AT101) and heavily‑inspired variations (EAR's 660, Fairman's TMC, Manley's Vari‑mu, and Pendulum Audio's ES8, for example), but also a slew of software emulations — so you don't need to look too far these days to find something akin to the Fairchild sound. If you like what you hear, you might also want to hunt down emulations of some other vintage valve‑based vari‑mu designs, such as the Altec 436, Collins 26U1 or 356E1, Federal AM864U, Gates Sta‑Level or Level Devil, RCA BA6A, and Universal Audio 175 or 176. Fairchildren they aren't, but each is nonetheless packed full of its own unique vintage valve character, and is frequently referred to reverentially by mix engineers. 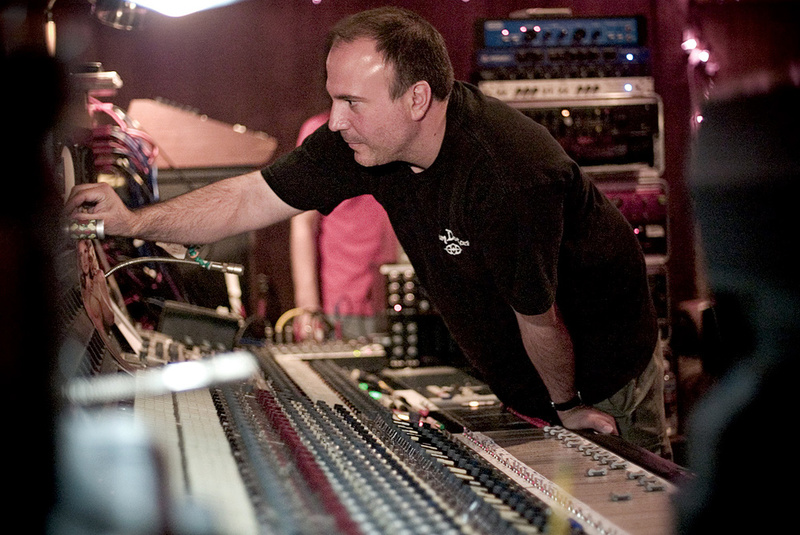 Michael Brauer, for example, used a Gates Sta‑Level and a Federal AM864U alongside the EAR 660 for his mix of Coldplay's recent hit 'Violet Hill'. The final classic vocal‑processing contender is Urei's 1176 (and the same marque's near‑identical stereo 1178). Whereas the 670's valves are smooth and warm, the 1176's equally fast FET‑based design brightens the tone and adds extra edge and excitement in a way that has made it a fixture on vocals for many top engineers for a half‑century. 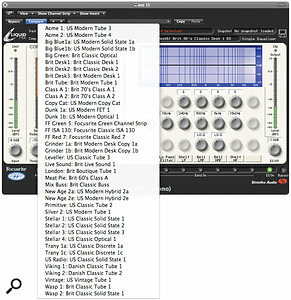 People differ in terms of how exactly they use it, particularly with regards to the choice of ratio setting, so it pays to experiment with this aspect of any emulation — and don't forget to try the unusual 'all buttons' mode if it's on offer, as it is, for example, in Universal Audio's software 1176LN for the UAD platform. The 1176's enormous popularity has given rise to legions of impersonators, including hardware units such as Universal Audio's re‑issued 1176 and Purple Audio's MC76, as well as myriad software emulations — so this should be one of the easiest compressor sounds to get hold of, even if you're working on a budget. The Urei 1176 is famous for adding a sense of edge and excitement to vocals.That pretty much wraps up the vintage units, but we can't leave the topic of vocal compression without touching on one very popular modern processor too: the Empirical Labs EL8 Distressor. This phenomenally versatile, digitally‑controlled, analogue compressor, introduced in 1995, was designed partly to emulate the characteristics of different classic compressor actions, including those of all four principal units we've discussed so far: Dbx 160, Teletronix LA2A, Fairchild 670 and Urei 1176. 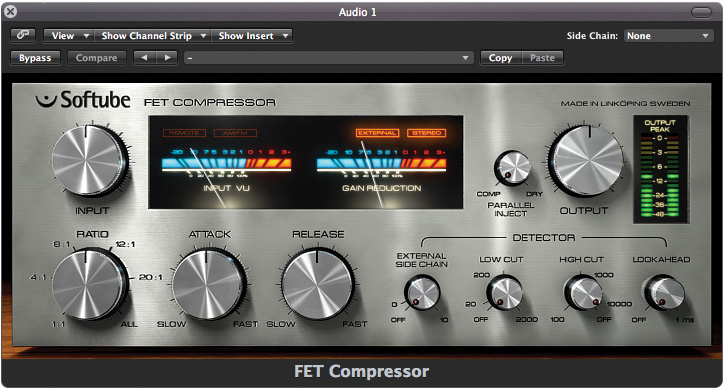 As such, it's not easy to say exactly what kind of compression you'll get if you dial up a Distressor emulation, although a little knowledge of the way the aforementioned classic compressors work may provide you with some useful pointers. What is worth a special mention, though, is that the Distressor has a number of built‑in, side‑chain EQ options, one of which emphasises the upper-mid frequencies in the detector circuit and thereby reduces sibilance problems that can often accompany heavy compression. It's pretty clear, looking at the practice of real engineers, that fast‑acting compressors and limiters are the most popular ones for drum processing. No prizes, then, for guessing that, of the models we've already encountered, the LA2A doesn't really get a look‑in. Units from Dbx receive mentions in this role from the likes of Tom Lord‑Alge, Jack Joseph Puig, and Butch Vig, while Glen Ballard singles out the 160X variant for special praise: "I think the 160X is the best compressor for drums that I've found. You just give it a little bit on the kick and snare while you're recording and it brings them into focus. I don't think you can find anything better for kick and snare — they're amazing! You can really slam them too! I love the fact that they have a really quick recovery, and you can exaggerate it if you need to.” The extremely fast attack and release times available on many Dbx units are particularly worthy of investigation if you find yourself in a situation where you really need to sculpt the front end of your drums with precision. The Fairchild units have been responsible for much drum‑mangling ever since the 670's prominent use by Emerick on Ringo Starr's kit, and since then engineers including Steve Churchyard, Tom Elmhirst, Manny Marroquin and Elliott Scheiner have all used the Fairchild brand for drum processing, on account of its colourful sonics and speed. "The 660 has a nice smooth sound,” comments Fabian Marasciullo, "and it really controls the peaks.” However, the 670 also has an unusual trick up its sleeve in that it has M/S matrixing built in, allowing you independently to compress the Middle and Sides components of a stereo signal. By plugging the 670 into a drum bus and then compressing the Sides signal more heavily, you can emphasise and/or pump the room sound without compromising the transient snap of your main kick and snare sounds. 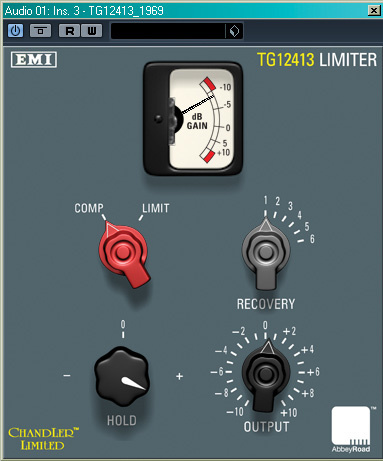 Moving on from the vocal workhorses, another compressor renowned for drums is the TG12413, a limiter originally built into each channel of the Neve‑designed custom consoles that EMI studios used for famous records such as Abbey Road and Dark Side Of The Moon. Although original units are as rare as hens' teeth, the widespread availability of Chandler's TG1 re‑issue (and its more flexible TG12413 Zener sibling) and EMI's more recent plug‑in emulation has ensured this sound a regular role in mainstream commercial mixing. The RCA BA6A. Like the Fairchild 670, this compressor is often used as much for it's sound as it's ability to achieve the desired gain reduction. If you read Will Haas's article about mix-bus compression back in SOS May 2008, you'll already be aware of many of the industry‑standard mix‑bus compression choices, but it tuns out that two of these regularly appear in the role of drum submix processor too: the API 2500 and the SSL G‑series console master compressor. Both of these feature fairly clean, VCA‑based gain reduction and are good at increasing average levels without trampling on the punch of transients or robbing too much low end. However, the SSL also has a reputation for adding a dose of desirable mid‑range crunch when more heavily provoked, and Smart Research's C2 emulation emphasises this aspect of the unit further with its additional 'Crush' mode. "[The C2's Crush mode] adds field‑effect transistor distortion,” explains Jason Goldstein. "I'm a big fan of using distortion, in small amounts. Tubes distort more harmonically, whereas transistors and Class‑A stuff are more aggressive, which is why I think many guys still like to mix on the SSL 4000 — those consoles are always just shy of distorting. It adds to the overall aggression of the mix.” But that's not all that Crush does. According to Tom Elmhirst, it "completely annihilates all the transients and brings up the air.” Small wonder, then, that Goldstein, Elmhirst and Rich Costey all take a parallel processing approach with the C2, for greater control. That the Urei 1176 convincingly topped the polls for bass processing in my survey of producers might raise an eyebrow, given what I've said about it thus far. 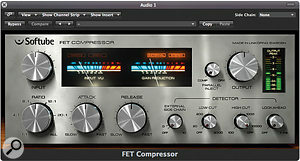 After all, fast compression can introduce serious distortion on slow‑moving bass waveforms. However, as long as the time constants are kept away from the fastest settings (in other words, somewhat counter‑intuitively, away from the higher‑numbered, clockwise end of the control settings on the unit), the circuitry's tonal brightening and subtle FET distortion really help the bass to cut through the mix in a way that other designs can't match. 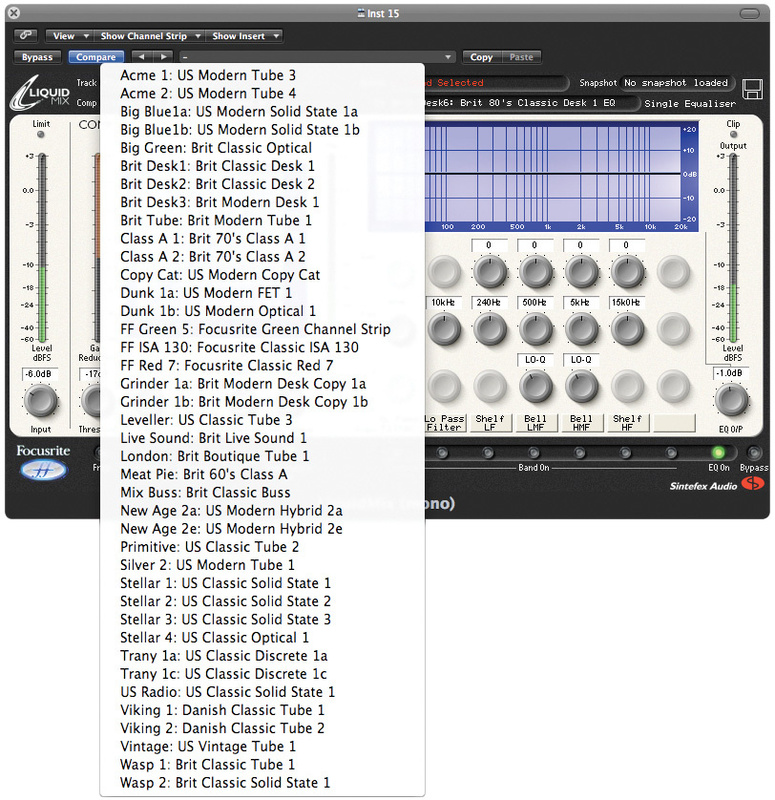 The lowest ratio (4:1) is the most common choice, as evidenced by independent recommendations from Steve Churchyard, Chris Lord‑Alge and Ralph Sutton, although Tom Elmhirst likes the result you get when you push in the 4:1 and 8:1 buttons together. Not far behind the 1176 in popularity is the Teletronix LA2A, numbering people like Mike Clink, Mark Endert, Tony Maserati and Jim Scott amongst its friends: the slower‑moving, electro‑optical design is clearly better suited to clean level management of low‑frequency sounds. The valve sound, though, is clearly a crucial part of the equation too, lending thickness and warmth to the tone, as evidenced by the wide range of other valve units from Altec, Fairchild, Gates and Summit that turned up in the interviews from time to time. That said, mix engineer Chuck Ainlay raves about the original Joemeek SC2 solid‑state optical compressor for bass, so that might be worth a look if FET or valve additives don't suit your taste. I've spent a good deal of time looking at compressor choices for vocals, drums, and bass, and in each of these cases I've been able to distil some degree of consensus from the available evidence. What I've discovered in the process of my research, though, is that compressor choices for other common instruments, such as guitars and keyboards, are much less commonly discussed in interview and, furthermore, that there also seems to be very little agreement between different producers as to what processors to use on them. 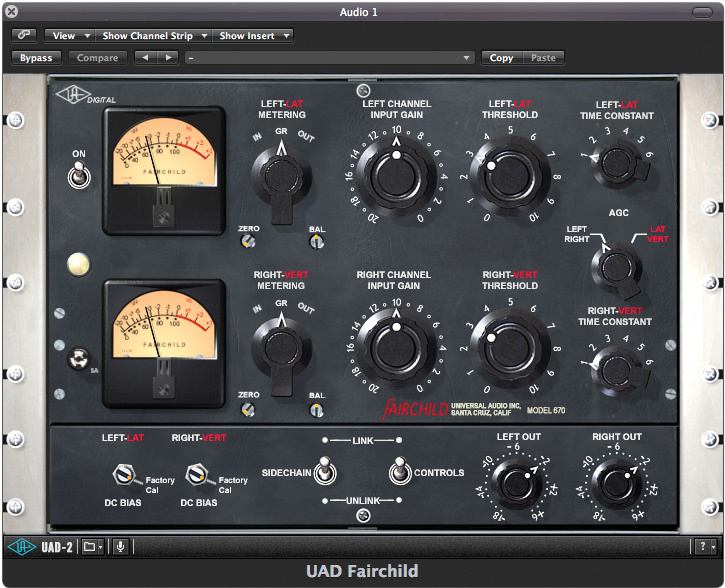 Joe ChicarelliFor example, with electric guitars, aforementioned units from Dbx, Fairchild, Gates and Urei all turn up sporadically, as well as Neve's 2254 and 33609 models (both of which use similar bridged‑diode gain‑reduction elements and lots of transformers, to deliver a silky‑smooth tone that often seems to be called on to remedy thinness or abrasiveness in a recording). However, little justification is given for these processing decisions, so any attempt at generalisation remains firmly in the realms of surmise. 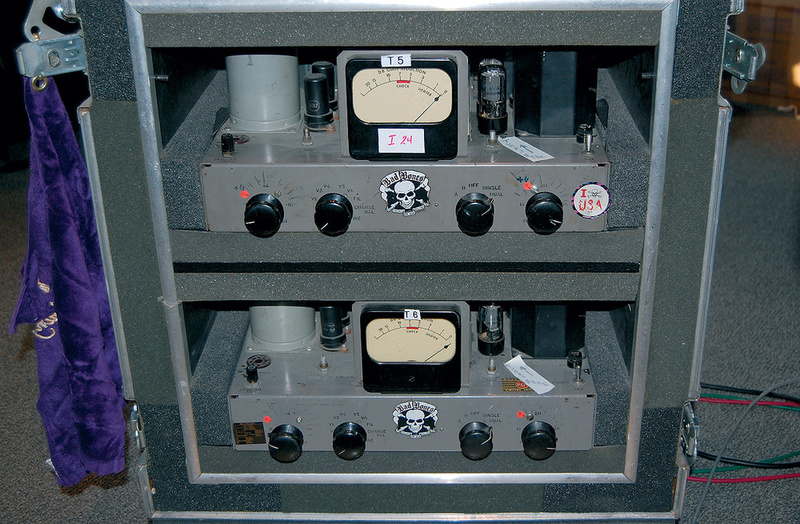 Perhaps the lack of information on processing other instruments simply reflects that vocals, drums and bass are more important than other elements in modern productions — so by the time an analogue engineer gets to mixing the brass parts, for instance, the most desirable compressors will probably already be in use, and he or she will, in practice, be more concerned with the compressor settings than the specific choice of unit. Or maybe it's that vocals, drums and bass just tend to need the most dynamic‑range control in a typical mix, so the choice of compressor (and indeed the use of compression at all) becomes less crucial with instruments holding a more consistent level. 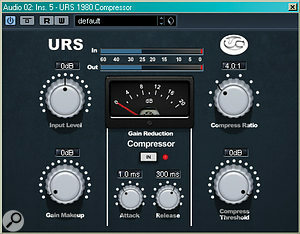 Well known for bus compression, amongst other things, the Neve 33609, which offers silky‑smooth gain reduction, is equally at home on electric guitar.Another argument for the lack of consensus with regards to compressor choice for things like electric guitars and synths could simply be that parts like these vary so much in character from mix to mix. A clean and choppy funk guitar is clearly a very different beast to a heads‑down Emo wall of noise in terms of attributes such as transient definition, dynamic range and frequency balance, so it makes sense that the same compressor would not necessarily suit both. While auditioning different classic compressor emulations in isolation is a valuable exercise in itself, what a lot of small‑studio musicians don't properly understand is that analogue compressors were often used in combination for processing the signals on their favourite records. 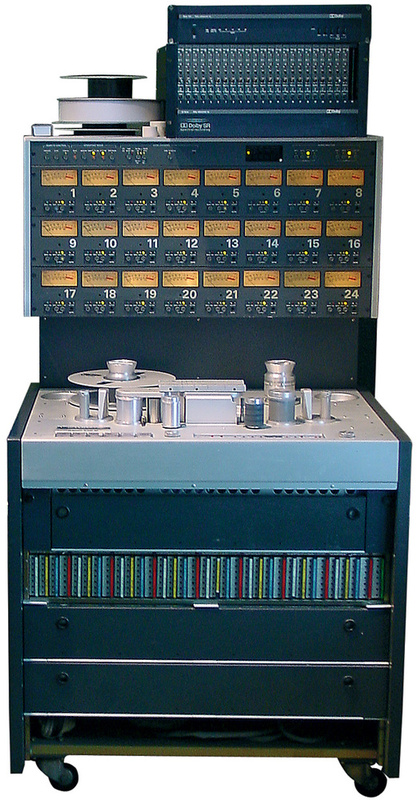 For example, many top engineers grew up working on tape, where moderately compressing sounds on the way to the recorder, to maximise signal‑to‑noise ratio while tracking, made a lot of sense. The tape may also have compressed the signal slightly too, and then on mixdown the tracks would be compressed further, often with different compressor models than were used for tracking, serving up a generous helping of tasty analogue-processing side‑effects. When researching compression techniques of other producers, it's important to think also about recording media. In the days when people routinely tracked through compressors to tape, there were often several different stages of compression going on, including some from the tape itself — so simply using a compressor emulation and replicating someone's 'golden settings' won't necessarily give you the same result. 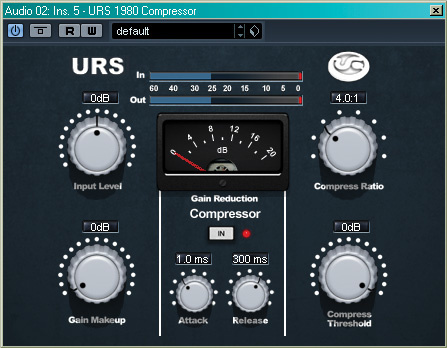 Using more than one compressor at the mixdown stage is commonplace as well, particularly on vocals, in order to achieve the most successful combination of tone and level control. Steve Churchyard and Tom Elmhirst, for example, both suggest combining the Urei 1176 and Fairchild 670, while Robert Orton chooses to match the Fairchild sound with Waves Renaissance Compressor instead. Sylvia Massey‑Shivy offers another couple of alternatives: Urei 1176 plus Teletronix LA2A, and Universal Audio 175 plus RCA BA6A. As I've mentioned many times in SOS, it's now commonplace for digital tracking sessions to use no dynamics processing, because of the low noise‑floor of modern 24‑bit A‑D converters, and the general desire to keep options open for the mix. This means that a lot of people don't experiment with double‑compression and pre‑compressor fader rides, so it's no surprise that they find it difficult to match the kinds of sounds that they hear on big‑budget analogue productions. Yet, now that almost every sequencer offers multiple effects insert slots in its virtual mixer channel, the time has never been riper to use this tactic — and I'd encourage you to try it out if you've avoided it until now. I've mentioned the idea of parallel compression at a number of points in the main article without going into much detail about it, so in case you're not familiar with this particular processing configuration, let me expand a little. The basic concept is to mix both compressed and uncompressed versions of the same signal, thereby gaining some advantages over normal insert‑style processing when using characterful vintage dynamics devices. In a parallel setup, even if you hammer the compression into the end‑stops, you can still keep the mixed sound fairly natural‑sounding, simply by keeping the overall level of the compressed stream low relative to that of the uncompressed stream. This means that you can overdrive a vintage compressor to emphasise tonal and distortion artifacts without nearly as much danger of ending up with a lifeless mixed sound. 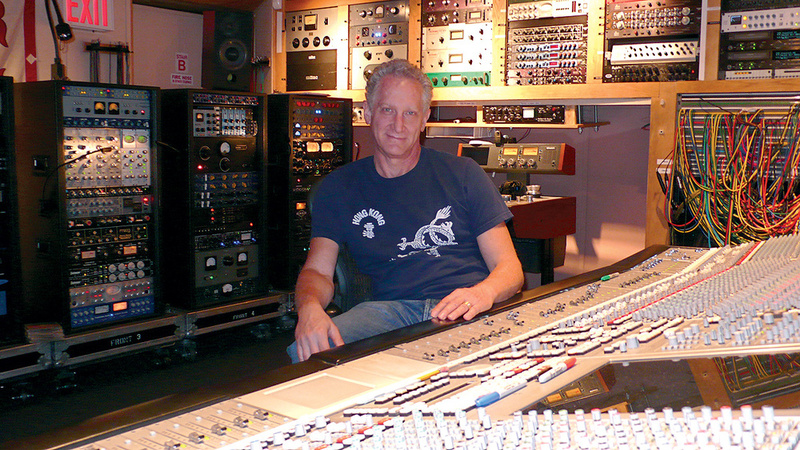 Michael Brauer with a mass of outboard. 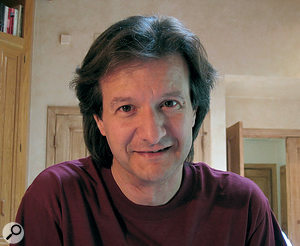 Brauer has developed a reputation for blending myriad compressors in parallel to shape the sound of vocals and other instruments.This technique is probably most often associated with drum tracks, because transients can be the first thing to suffer from overzealous insert‑style compression, but that doesn't mean that it has no application for other instruments. 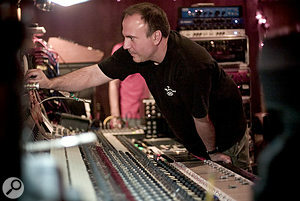 For example, Tony Maserati, Justin Niebank, and Thom Panunzio have all talked about using the technique for vocals, while Rich Costey mentions using it for bass. In the latter case, the tendency of many analogue compressors to dull the tone with increasing gain reduction has led the technique to have something of a reputation for emphasising low‑end warmth. 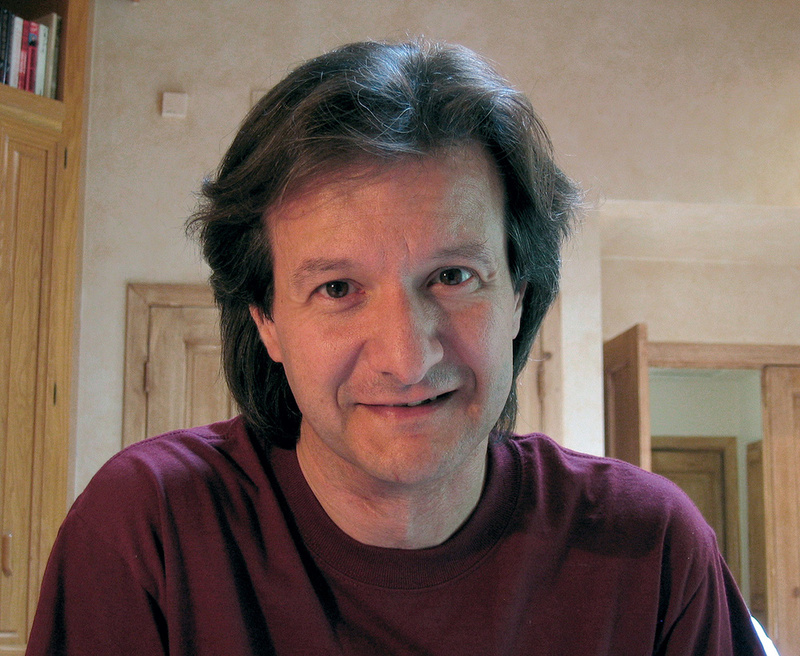 The most virtuoso proponent of parallel compression, though, has got to be Michael Brauer, who not only runs a number of parallel compressors from auxiliary sends, but also mults his lead vocals through multiple different compressors, and also compresses complete groups of instruments via a four‑way stereo output-bus system on their way to the main outputs of the mixing console! Which Classic Hardware Is My Plug‑in Modelling? So you fancy trying emulations of a few of the compressors I've talked about in the main text of this article... but how do you go about it? The good news is that plug‑in emulations are thick on the ground these days, given the powerful influence that vintage units have had on the minds of software developers. The bad news is that although some of the emulations are officially endorsed by the hardware unit's manufacturer, some aren't, and a given emulation's vintage 'muse' may well be referred to rather coyly, perhaps for fear of litigation — which means you may even already have emulations in your existing plug‑in collection without realising it! The trick is working out how to interpret the hints that the designers give you, so that you have an idea of what to expect of the processing. Here are some quick tips. Check the manual and the designer's web site. Focusrite, for example, provide extra information on their site about the gear they've 'sampled' for their Liquid Mix, while URS Console Strip Pro's manual lists enough characteristics of the different models (circuitry information and year of manufacture, for instance) that it blows the cover of many of them. The name of the plug‑in or emulation preset may also give the game away, of course: you don't have to try hard to guess the inspiration for URS's Opto2a emulation! While you're on the web, it's worth doing a quick search: Internet forum users may already have posted their own 'translation tables' showing suspected emulation mapping for the plug‑in you're using. Look up pictures of original units via Google's image search. Software graphical user interfaces frequently mimic visual aspects of their hardware forebears. Even where the visual stylings are different, similar control legends or layouts can also give the game away. Compression can be a pretty technical topic, which means that there's a lot of terminology to take on board if you're coming to it for the first time. If there are terms in this article that leave you scratching your head, there are a couple of sources I'd recommend turning to. The first is the 'Advanced Compression' series we started back in December 2000 (/sos/dec00/articles/adcompression.htm), which, despite the imposing‑sounding title, covers the internal workings of compression parameters from the ground up in a fair bit of detail. Here's a summary of the classic compressors Mike's research found to be most widely used by name producers. Read the main text for full details of what these units offer. Many budgets won't stretch to prestigious hardware, of course, and in that case you can search out lower-cost software that has been inspired by these devices (see 'Which Classic Hardware Is My Plug-in Modelling?' box). In case you're unfamiliar with some of the producers mentioned in this article, here's a very brief discography, picking out some of their more prominent work: Chuck Ainlay Brothers In Arms (Dire Straits); Roy Thomas Baker Queen, Queen II, Sheer Heart Attack & A Night At The Opera (Queen), Zeitgeist (Smashing Pumpkins), Transformers (Motion Picture Soundtrack); Glen Ballard Wilson Phillips (Wilson Phillips), Jagged Little Pill (Alanis Morissette), 'Man In The Mirror' (Michael Jackson); Joe Barresi Stoosh (Skunk Anansie), Lullabies To Paralyze (Queens Of The Stone Age); Michael Brauer Viva La Vida (Coldplay), Tourist (Athlete); Joe Chiccarelli Icky Thump (White Stripes), Joe's Garage (Frank Zappa); Steve Churchyard Listen Like Thieves (INXS), Laundry Service (Shakira); Ed Cherny Unplugged (Bob Dylan), Nick Of Time (Bonnie Rait), Good Stuff (The B52s); Rich Costey Absolution, HAARP (Muse), Our Love To Admire (Interpol), Together We're Heavy (Polyphonic Spree); Bob Clearmountain Born In The USA (Bruce Springsteen), Tattoo You (Rolling Stones), Kick (INXS), Let's Dance (David Bowie); Mike Clink Appetite For Destruction, Use Your Illusion, The Spaghetti Incident (Guns n' Roses), Eye Of The Tiger (Survivor), Rust In Peace (Megadeth), Whitesnake (Whitesnake); Tom Elmhirst Back To Black (Amy Winehouse), 19 (Adele), Black Cherry (Goldfrapp); Geoff Emerick Revolver, Abbey Road, Sgt. Pepper's Lonely Hearts Club Band (The Beatles); Mark Endert Music (Madonna), Makes Me Wonder (Maroon 5); Jon Gass, mixes for Whitney Houston, Toni Braxton, Madonna; Humberto Gatica Call Me Irresponsible (Michael Bublé), Bad (Michael Jackson), Falling Into You (Celine Dion); Jason Goldstein B'Day (Beyoncé); Stephen Hague True Faith (New Order), The Innocents (Erasure), 'Freedom' (Robbie Williams); Eddie Kramer Are You Experienced?, Axis: Bold As Love, Electric Ladyland, Band Of Gypsys, The Cry Of Love (Jimi Hendrix), Led Zeppelin II (Led Zeppelin); Nick Launay Neon Bible (Arcade Fire), Diamond Hoo Ha (Supergrass), The Dreaming (Kate Bush); Chris Lord-Alge Living In America (James Brown), Batman soundtrack (Prince), Unchain My Heart (Joe Cocker), American Idiot (Green Day), The Black Parade (My Chemical Romance); Tom Lord‑Alge Pink Box, Funhouse (Pink), Best Damned Thing (Avril Lavigne), Blink 182 (Blink 182); Fabian Marasciullo 'Low' (Flo Rida & T-Pain); Tony Maserati 'Save Room' (John Legend), Elephunk (Black Eyed Peas), J.Lo (Jennifer Lopez), Diary Of Alicia Keys (Alicia Keys); Manny Marroquin 808s and Heartbreaks (Kanye West), 'Mercy' (Duffy), 'Umbrella' (Rihanna), Unplugged (Alicia Keys), 'Heartbreak Hotel' (Whitney Houston); Sylvia Massey‑Shivy Unchained (Johnny Cash), 'Love Rollercoaster' (Red Hot Chili Peppers), System Of A Down (System Of A Down); Mark Nevers Nixon (Lambchop); Steve Power Life Thru A Lens (Robbie Williams), 'Sit Down' (James), Reload (Tom Jones); Jack Joseph Puig Eyes Open (Snow Patrol), Let Love In (Goo Goo Dolls), Monkey Business (Black Eyed Peas); Robert Orton The Fame (Lady Gaga); Jim Scott American Recordings (Johnny Cash), Bridges To Babylon (The Rolling Stones), Californication (Red Hot Chili Peppers), Renegades (Rage Against The Machine); Elliott Scheiner In Your Honour (Foo Fighters), Gaucho (Steely Dan), The Way It Is (Bruce Hornsby & The Range); Al Schmitt Genius Loves Company (Ray Charles), Unforgettable (Natalie Cole), The Look Of Love (Diana Krall); Serge Tsai 'Hips Don't Lie' (Shakira & Wyclef Jean); Butch Vig Gish, Siamese Dream (Smashing Pumpkins), Nevermind (Nirvana), Bricks Are Heavy, 21st Century Breakdown (Green Day).